Which DaVinci Slate is Right for My Home? Choices. That’s what we give you at DaVinci Roofscapes. 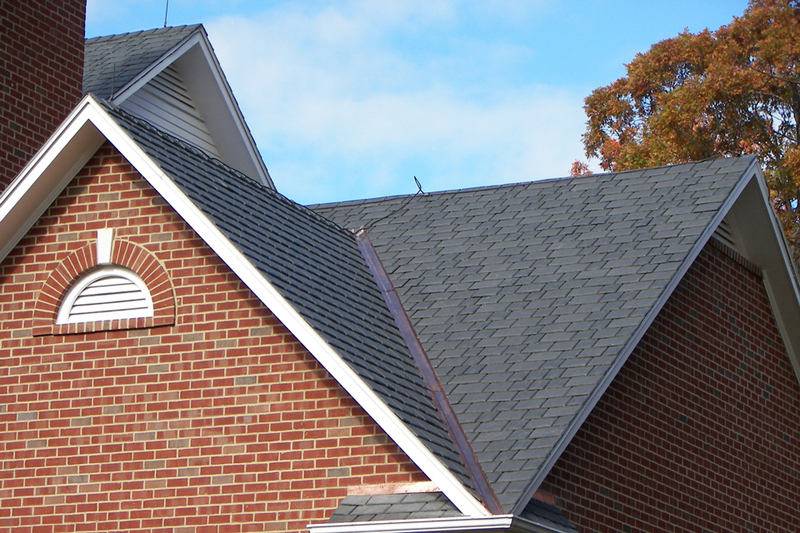 If you’re looking for simulated slate roofing, you’ve come to the right place. We have three different synthetic slate roof tile options for you designed to complement your home’s unique style and your personal budget. DaVinci Multi-Width Slate: When seeking a realistic slate look on your luxury roof, multi-width composite slate roof tiles are a terrific choice. Available in 12″, 10″, 9″, 7″ and 6″ widths making it easy to create a natural, non-repeat appearance in either a straight or staggered pattern. 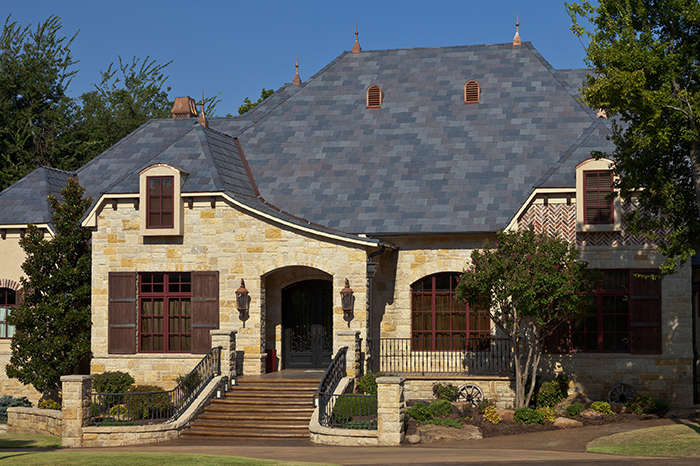 Authentic-looking slate roof shingles can be ordered in a variety of colors or blends. 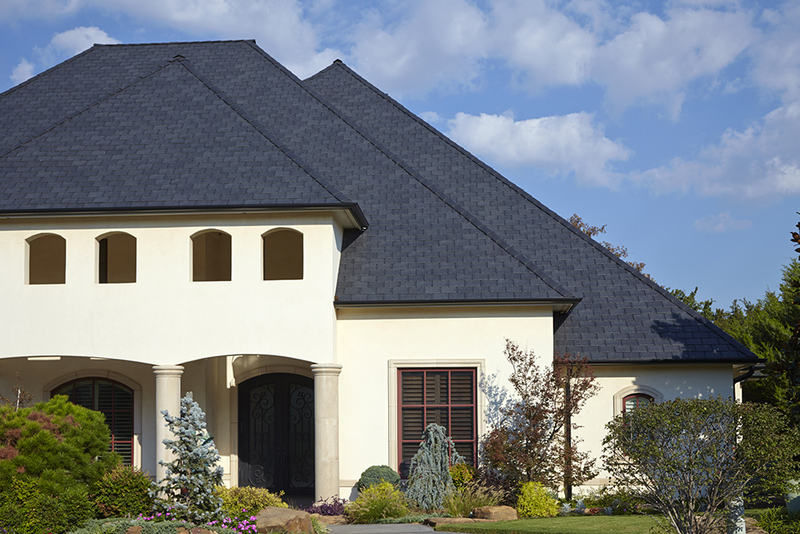 DaVinci Single-Width Slate: Crafted using only virgin resins to guarantee a stainable roofing product, single-width tiles are available in 12″ widths. This composite slate roof brings you a clean, simple design with the authentic look of natural slate. Bellaforté Slate: Designed with a snap-fit tile that creates a built-in rain gutter, Bellaforté simulated slate roofing tiles feature a leading edge tab that secures every tile to drastically improve wind performance. Available in 12″ tile width in a variety of colors and blends. All synthetic slate shingles from DaVinci are Class A Fire Rated, impact-resistant, 100% recyclable, and backed by our 50 year roof limited warranty. Each tile is 1/2″ thick, which is twice the thickness of most other synthetic slates in the marketplace. For more details on synthetic slate roofing, see Fred Flintstone’s Boss Would Love DaVinci Slate Tiles and DaVinci Slate Roofing Rivals Natural Slate.